StenSat (Stenhouse Satellite) was a small (12 cubic inch, 8.2 ounce) satellite which wass intended for use by amateur radio operators world wide and was to operate as a single channel mode "J" FM voice repeater. The uplink frequency was 145.84 MHz and the downlink was 436.625 MHz. Stensat was to periodically transmit 1200 baud AX.25 for broadcasting telemetry. Additionally, amateur radio operators were to be able to "PING" the satellite by transmitting a six digit DTMF command to the receiver uplink. 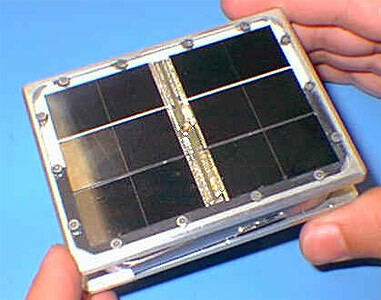 Stensat was developed as part of Stanford University's OPAL (Orbiting Picosatellite Automated Launcher) project. Stensat wass one satellite out of a cluster of six picosatellites that were ejected from the OPAL platform. Stensat was launched into orbit on 26 January 2000 and was released from the OPAL launcher on February 10th but no confirmed signals have been received from Stensat.